Who's your favorito out of these? Who was your favorito character in the Justice League film? Who's your favorito member of the Justice League? Which is the best Justice League hero? Should batman be with Wonder Woman? 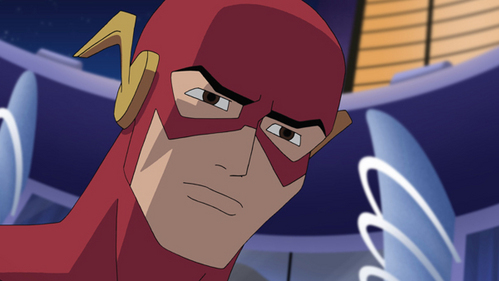 Are they making new JL animated series at all? Will you cadastrar-se my new club? Check out background for mais information on this question: What is the name of that Justice League movie? When I first learned that Warner Brothers Studios and D.C. Comics planned to release another super-homem movie, I did not greet the news with any enthusiasm. In fact, my first reaction was sheer frustration. The last D.C. Comics movie I wanted to see was another super-homem movie. Hi guys, I happened to watch the Justice League film with my younger brother just now. I would like to write the review of this film. So, the story takes place after the events of batman vs Superman. I was really sad that the latter did attack his friends shortly after being revived por them! As a matter of fact, Henry Cavill looks really hot in his six packs! AFTER 15 years of sashaying down the pista perfecting her blue-steel stare, it's all over for Megan Gale. At age 32, Gale has given up the competitive catwalk business to focus on her budding film career. "It has been at the back of my mind for a couple of years," said Gale, who has spent the past seven years treading the boards for David Jones. "Even though I still enjoy it and I amor it, I kind of decided that it is inevitable -- I just have to step off at some point. DC Comics fãs have been on the edge of their seats for the last few days waiting for some official casting for the upcoming Justice League film, for now here is the Flash, the Green Lantern and Talia al Ghul. A few months atrás the IESB brought you the news that both Justin Long and Adam Brody had been brought in to read for the role of the Flash, a few days later the Trades confirmed our scoop. Following his daughter's tragic suicide, director Zack Snyder has decided to step down from Justice League and has passed on directing duties to Marvel's The Avengers helmer Joss Whedon. While we wait for the fall's big-screen Justice League to unite, here's a look at the 15 best Justice League origin stories. a comment was made to the poll: Who's your favorito member of the Justice League? a poll foi adicionado: Who's your favorito member of the Justice League? a poll foi adicionado: Who was your favorito character in the Justice League film? a comment was made to the poll: Which is your favorito film out of these? What is The Flash's real name? Who is the real leader of the justice league?